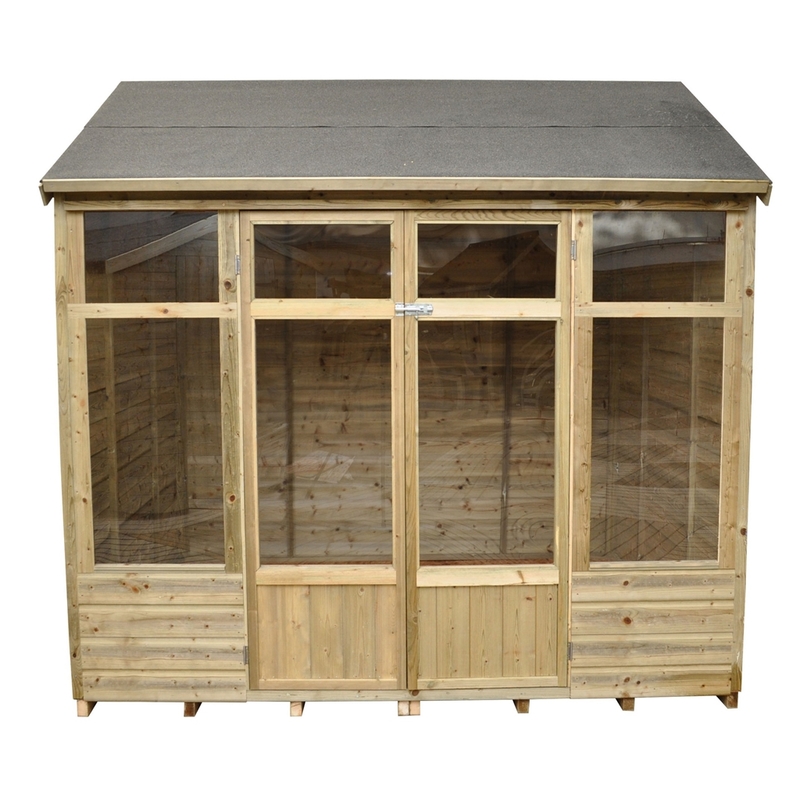 This 8x6 Poppy Summerhouse looks like a traditional summerhouse, however, this one has a unique twist; it has a reverse apex roof which provides you with spacious interior. 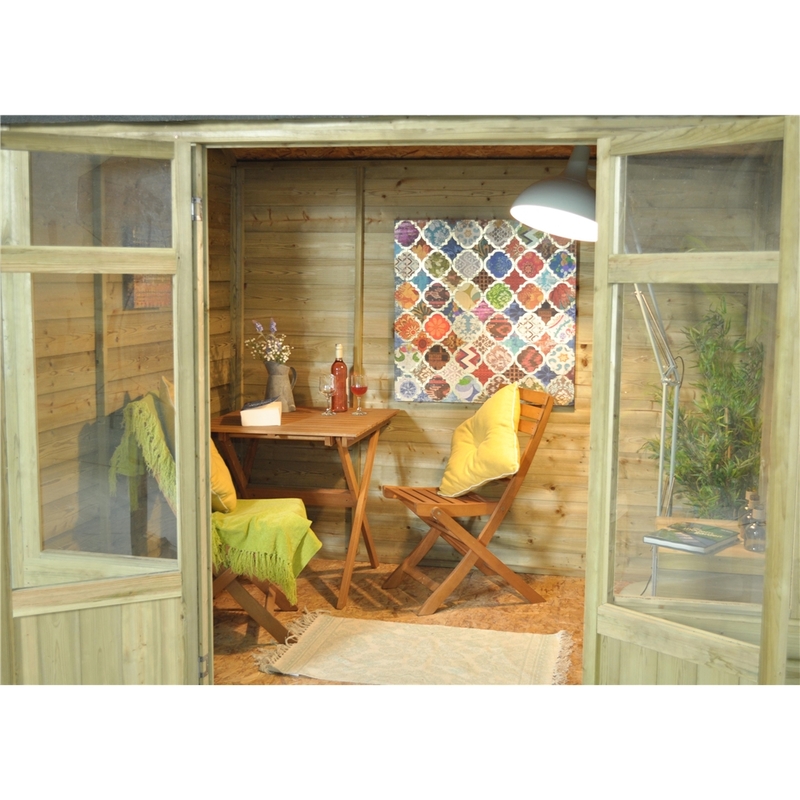 It includes double glazed doors, and two tall windows which allow the natural light to brighten up your summerhouse and also gives you a great view of your garden. 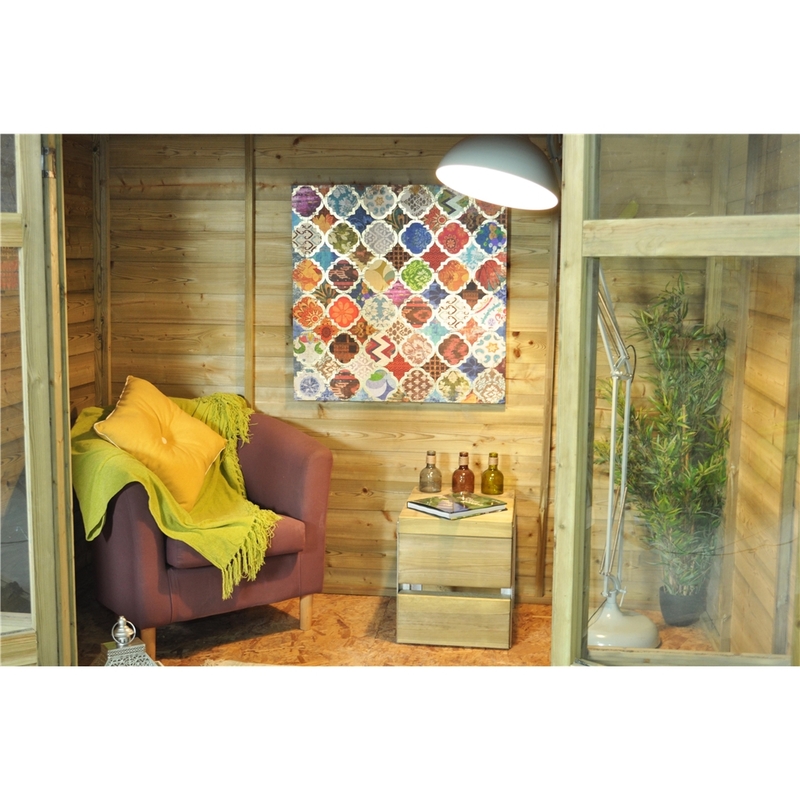 This product is an ideal place to relax, sit back and enjoy your garden by yourself or with friends and family. This building is manufactured from pressure treated shiplap timber, which allows rain to run straight off the product. 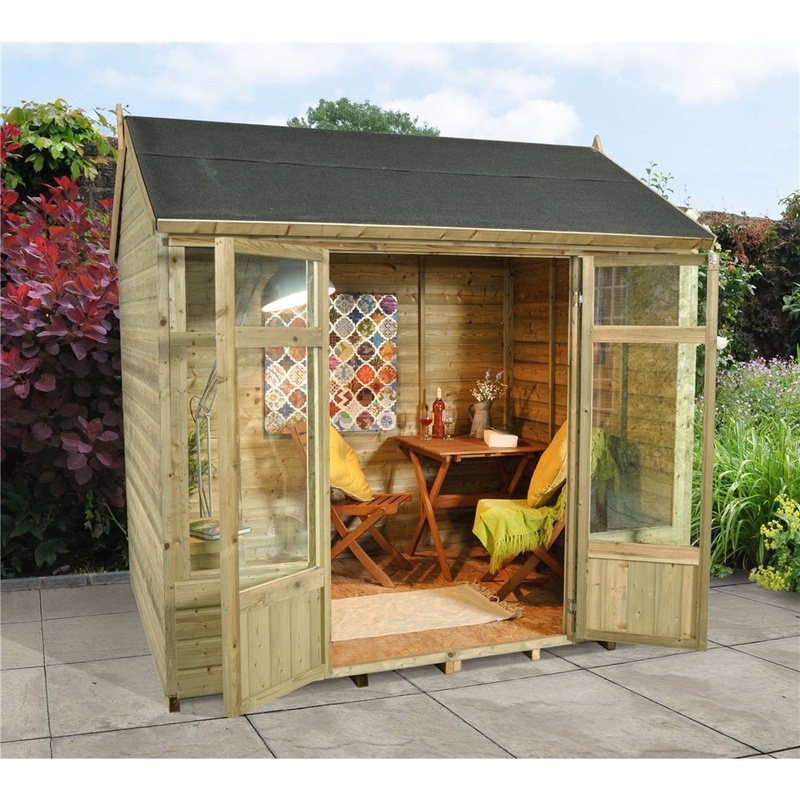 The Poppy Summerhouse will be delivered to you flat packed and you are provided with a full set of instructions and a fixing kit.